If you have ever experienced hunger pangs and cravings during that painful, but necessary, diet that you have been struggling to follow, these tasty fat burning foods will fill your stomach and satiate your cravings without piling on the pounds. Here are some of the most popular and effective superfoods that burn fat without boring your taste buds! For those who enjoy spices in their food, the fact that spicy food actively contributes towards actual fat loss will come as no surprise, given how they promote quick digestion and also increase the body’s need for hydration. Consuming cayenne pepper has been an integral aspect of many popular liquid-only diets and is added to salads and other foods by those who want to kick start their body’s metabolism. Whole grain food will help by making you feel full, and for those who would prefer less spicy options for their diets, there are a wide range of whole grains to choose from, including brown or unrefined rice, and steel cut oats. These fat burning foods are versatile in terms of the many ways in which they can be added to meals, and are effective fat burners because the body takes more time to digest them as compared with bleached, refined, nutritionally-deficient white food. Consider looking at whole grain and whole wheat versions of your favorite snacks and breads in order to create healthier meals for yourself. Among the many favorite fat burning foods which are recommended by health experts, the inclusion of green tea and lean, i.e. fat-free meats is a must. Green tea helps melt fat if one consumes 4 cups a day, while 2-3 servings of lean meat without fatty dressing and sides will provide nutrition while burning fat thanks to its thermogenic effect on the body. 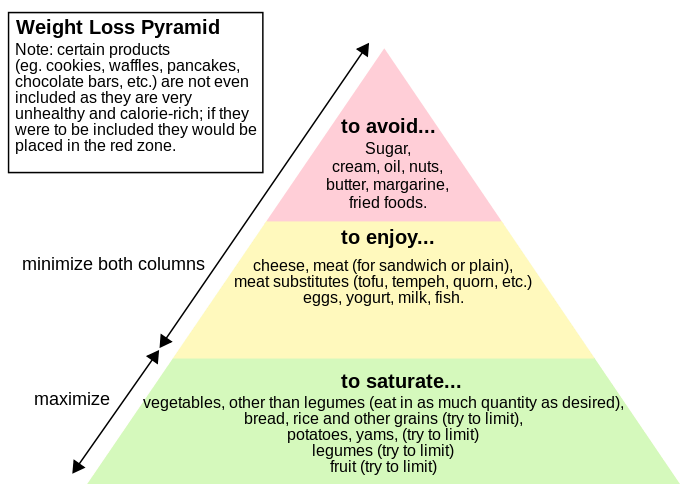 There are a number of delicious and healthy fat burning foods available in the market, and it would be a wise choice to incorporate them all as part of your daily meal plan. One of the easiest ways in which to assess the health benefits and fat burning potential of a particular food item is to see how natural they are; if you are buying chemically-processed, pre-packaged, artificially enhanced items, you might want to consider buying fresh and organic fat burning food items instead. Flax seed has been a widely grown crop for thousands of years, and it is believed that it was one of the first plants that humans domesticated and farmed. The flax plant is one of the most versatile in the world, capable of being made into fabrics (especially linen), paints, fishing nets, dyes, soap, medicine, and all sorts of other things. The seeds produce an oil known as linseed oil or flaxseed oil. Linseed oil is one of the most commonly used vegetable oils. 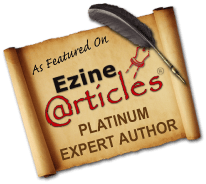 In addition to being used in food, it has also been used as a finish and polish for wood and painted surfaces, in putty and caulk, and perhaps most notably in linoleum, which many people wrongly believe is made from man-made materials. Linoleum is actually wood or cork dust on canvas, overlaid with solidified linseed oil, making an all-natural floor covering that is especially suitable for people with allergies. Wood is also treated with linseed oil when making bats for some sports, including cricket. The popularity of linseed oil for food preparation has been steadily growing again, because people have been paying more attention to the benefits of omega-3 fatty acids. Flax seed contains an abundance of alpha-linolenic acid (ALA), which is a plant-derived omega-3 essential fatty acid. According to the University of Maryland Medical Center, ALA may help reduce systemic inflammation that often leads to various chronic diseases, such as diabetes, heart disease, arthritis, and high blood pressure. Flax seed also contains fiber-rich lignans, which have antioxidant and phytoestrogenic properties in the body. Lignans possess anti-cancer properties as well. Living a healthy lifestyle and eating healthy food doesn’t mean you can’t enjoy the occasional sweet indulgence. It’s Mother’s Day! That box of chocolates is calling your name! Can you eat sweets and still manage your diet? Yes you can. 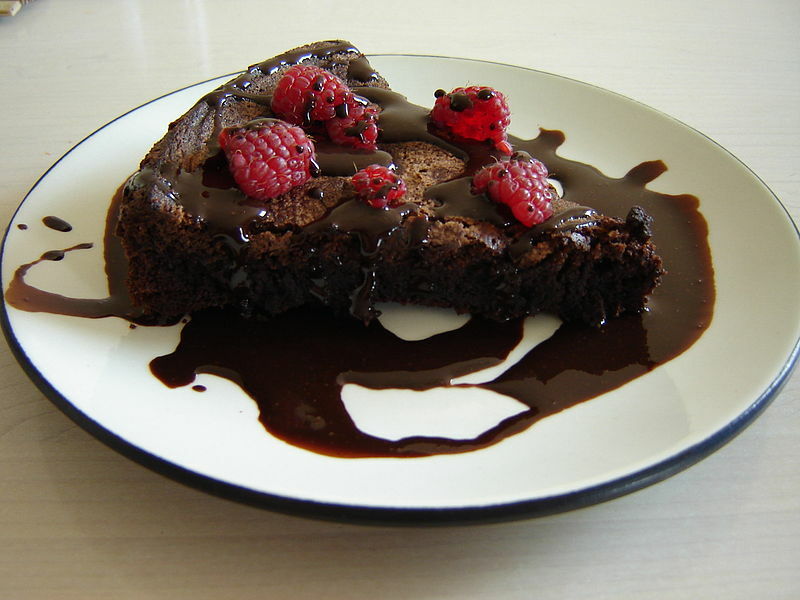 As long as you eat sweets in moderation and occasionally, you can enjoy rich chocolates, cakes and cookies. Dark chocolate is not only a decadent treat, it’s a healthy one too. Dark chocolate is rich in antioxidants called flavonoids. Flavonoids can help improve your heart health and decrease your blood pressure. Walnuts increases the heart health power of this sweet by adding beneficial omega-3 fatty acids. Yes, you can have 2 or 3 of those delicious dark chocolate covered walnut treats. Love milkshakes and ice cream? You know milkshakes are loaded with calories and fat. You can enjoy all the delicious flavor of a milkshake but with far fewer calories by substituting regular milk with 1 percent milk. Add some plain low-fat yogurt and your favorite fresh fruit, such as blueberries or strawberries, for a fruity flavor explosion. You will also benefit from the antioxidants found in fresh fruits and get a good dose of your daily vitamin and fiber requirements. If you are going out to dinner to celebrate Mother’s Day, many restaurants offer low-fat treats. If you must have that slice of chocolate cake, forego the ice cream and whipped topping. Take small bites and savor each one. You don’t have to finish that dessert either. Share it with that special someone who is treating you to dinner. When you are trying to lose weight and build muscle, it’s important to get plenty of exercise and to eat foods that support your weight loss goals while providing good nutrition. You can’t build muscle without the raw materials provided by the foods you eat. Cutting calories and exercise will help you lose weight, but don’t sacrifice nutrition to drop those extra pounds. There are many foods that are high in nutrition but low in calories and fat. Eat several small meals throughout the day, including healthy snacks, to keep your metabolism revved up throughout the day. Greek yogurt is a delicious food that has twice as much muscle-building protein as other types of yogurt. Protein is also slower to digest than other nutrients so you feel fuller, longer. Feeling full is a great way to help you avoid sugary snacks and high calorie munchies between meals. Add an extra nutritional punch to your Greek yogurt by stirring in some fresh fruits, such as blueberries, raspberries or slices of strawberry. Berries are high in fiber which can also help you feel full. Plus you will get a good dose of antioxidants. Snack on apple and pear slices between meals for a quick boost of energy from natural sugars, proteins and fiber. Grapefruit isn’t a magical fat-burning food, but you will feel fuller longer because it is loaded with water-soluble fiber and nutrients. Whole grains, including quinoa, wheat and oats, should be part of every person’s diet even if you are not trying to lose weight. Whole grains contain protein, fiber and are loaded with vitamins and trace minerals that your cells need to function normally. Replace your processed flour pasta with whole grain pastas to cut calories while still enjoying the foods you love. Beans and brown rice are excellent sources of fiber and muscle building protein. You can also spice up your fat fighting diet by eating hot peppers! 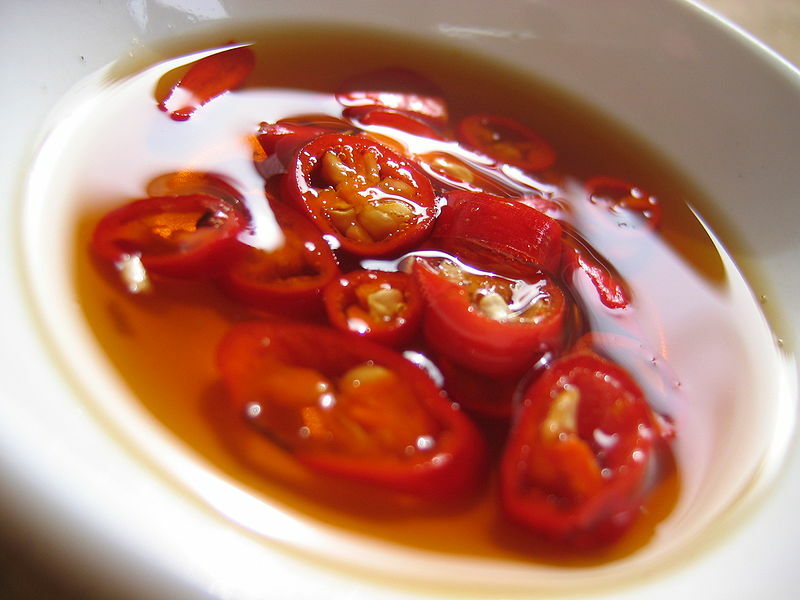 Hot peppers contain a natural compound called capsaicin that curbs your appetite and boosts your metabolism. You can also get the protein and nutrients you need from eggs. One egg has 7 grams of protein but only about 75 calories. If you have high cholesterol, check with your doctor about the number of eggs you should eat each week. You can see television commercials for the next best weight loss pill every day on most every channel. The truth is there is no magic weight-loss pill. Some diet pills may even be dangerous to your health. Forget the fad diets. Don’t even think about starving yourself. Diet pills often have harmful side-effects. Most diet pills cause you to lose weight because they are a diuretic or have a laxative effect on your body, which can cause you to lose water weight. You will re-gain water weight as soon as you rehydrate your body. Dehydration can be dangerous, too. Other diet aids contain stimulants, such as caffeine, that speed up your heart and can increase your blood pressure. The safest way to lose weight is to see your doctor and ask her to help you design a weight loss program that includes sensible, healthy nutrition and exercise. In order to lose weight, you have to create a calorie deficit. That is, you must burn more calories than you consume so that your body burns fat for energy. According to the National Heart, Lung, and Blood Institute, an eating plan that contains between 1,000 and 1,200 calories per day can help women lose weight safely. Cut back on simple carbohydrates and fats and replace those sugary fat foods with complex carbohydrates and fiber. Take cake, candy, cookies and white flour out of your diet. Replace those calorie-laden foods with whole grains, such as bran, wheat, oats and brown rice. Eat more raw vegetables and drink water instead of soda. Eat a balanced diet with foods from all the food groups and keep track of your caloric intake if you want to safely lose weight. Exercise is an essential part of any weight loss plan. As you use more fat for energy and start to lose weight, it’s important that you build muscle. Building muscle will also help you burn more calories since muscle tissue burns more calories than other tissues in your body. The more muscle mass you have, the more calories you will burn. Your basal, or resting, metabolism will also increase when you build more muscles. This means you will burn more calories sitting on the sofa in front of your television if you increase your muscle mass. According to the American Journal of Clinical Nutrition, the top two leading causes of death in the United States are cardiovascular disease and cancer. To lower your risk for heart disease and other chronic health problems, you should try to eat at least two to three cups of vegetables every day. Unfortunately, most Americans consume less than half the amount of recommended vegetable servings, according to the Centers for Disease Control and Prevention. Vegetables contain many important nutrients such as fiber, minerals, vitamin C, beta carotene and folate. Veggies are also abundant in water and contain little to no fat! So, eat your veggies to lose weight and stay healthy! They are low in calories, rich in fiber and chock full of vital nutrients that your body is craving. When you fill up on the good stuff, there’s less room for the bad stuff. ü Top a baked potato with stir-fried vegetables or vegetable salsa. ü Add shredded or finely chopped vegetables to pasta sauce, chili, lasagna, meat loaf, baked potato, or soup. 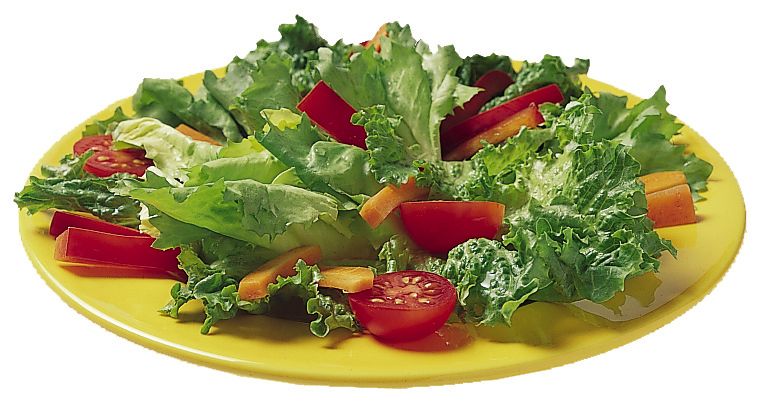 ü Begin every meal with a salad and mix in plenty of colorful vegetables and dark green varieties of lettuce. ü Add veggies for breakfast. Add salsa to your scrambled eggs or stuff an omelet with spinach or broccoli. ü Keep your veggies readily accessible and visible in your refrigerator. Prepare snack-size bags of pre-cut carrots, peppers, cucumbers, broccoli, tomatoes, and celery. ü Buy frozen veggies, so you always have a supply of veggies ready to go. And you won’t have to take as many trips to the grocery store. As you can see, it’s not as hard as you think to start eating healthier. Just plan ahead and keep your kitchen stocked with metabolism-boosting foods. Before you know it, you will feel more energetic, sleep better, lose weight, and feel great about taking back control of your health!